Lovely 2 Bedroom, 2 Bath Condo Carriage Unit Floor Plan by Lennar. Freshly painted,and ready for a new owner who will appreciate this home as much as the sellers did. This property is a rare find and scarcely comes up on the market for sale in the Meriwether community of Columbus Square. This is a spacious two-level condo with an open floor plan. 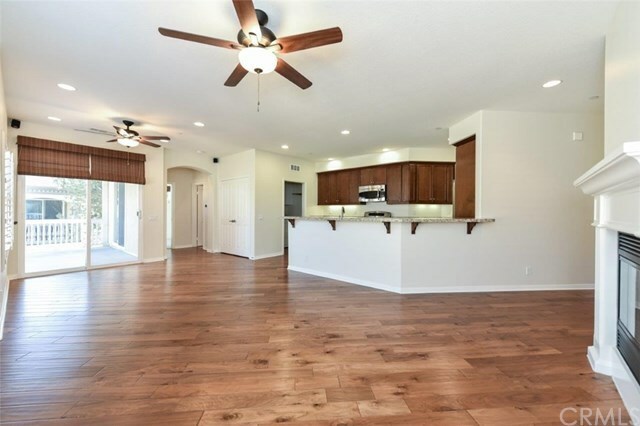 It comes with beautiful pecan toned hardwood floors, an upgraded natural gas fireplace with mantle, plantation shutters throughout the house, and opens to a large balcony great for entertaining with views of the community.This awesome home also offers a Nest thermostat. Upon entry to the property you are greeted with a dramatic staircase leading to the second floor with all the living areas.The master suite offers a large bedroom with a spacious walk-in closet. Each bedroom is on a separate wing providing room for privacy. The home features a huge kitchen complete with plenty of cabinet space, rich granite countertops, full stainless steel appliances, a large walk-in pantry, and a spacious private laundry room conveniently located upstairs. The home is also equipped with a washer and dryer, refrigerator, and two-car attached garage with multiple storage racks. Amazing location within walking distance to the new Village shopping center and brand new Veteranâs Sports Park opening soon. It is also in close proximity to The District, Costco, freeways, airport, and beaches. Directions: From Tustin Ranch Road off of the 5, turn right onto Valencia, right on Columbus Square, left onto Montgomery, parking on Montgomery and Claremont Way.